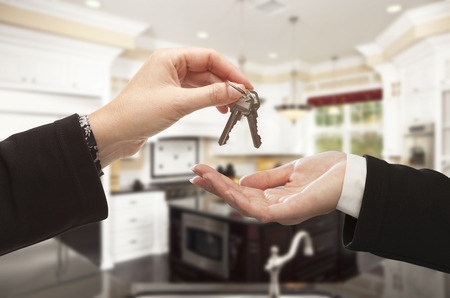 If you think you are ready to purchase a home for your family, it can be difficult to resist the urge to make an offer on the first property you see. However, there are a few important things that you will need to have on hand before filling out the mortgage paperwork. Although you may qualify to buy a home if your credit score is lurking between the 580 and 600 ranges, you will be paying the highest interest rates in the industry if you take this route. As a result, it is recommended that your credit score be no less than about 640 if you want to secure better interest and lending rates possible. However, to get the absolute best rates in the industry, your credit score will need to be 700 or above. In most cases, you will need to save a down payment before qualifying for a loan – this can be anywhere from 3% to 20%, depending on the type of loan you choose. While it may sometimes be possible to obtain assistance with covering the cost of a down payment, it is better to have saved this beforehand, as it will help a bank or lending institution see that you are in fact committed to being able to pay for a home. Saving a sizeable lump sum will also help cover closing costs associated with the sale. In addition to the savings you have on hand to cover closing costs and a down payment, you should have an account that has between 3 and 6 months’ worth of living expenses tucked away as well. This will not only show a potential lender that you are not living from 1 paycheck to another; it will be extremely handy to fall back on in the event of emergency repairs needing to be done after buying a home. Many lenders will not even consider accepting your offer on a home if you don’t have mortgage pre-approval in place. Having mortgage pre-approval in place will help a lender determine whether you will qualify to purchase the home in question and whether you will be able to afford the monthly payment thereafter. It also shows realtors how much you are able to spend when buying home, which helps speed up the showing process as well – you won’t get your heart set on a home that you can’t afford. Too many agents out there try to push potential buyers to purchase more home than they can afford – all so that they can get the best possible commissions. Before agreeing to work with a particular agent, ensure that you obtain referrals from anyone else you know who may have recently purchased a home. If you have been considering buying a home and would like to find out more about making an offer or obtaining a loan, contact us today. We are more than willing to assist you. This entry was posted in Blog and tagged before purchasing home, purchasing a home, things to do by Scott Li. Bookmark the permalink.